DoR John Barnes wants to see Hartpury build on an encouraging performance at Bedford Blues last time out as rugby returns to the Gillman’s Ground tomorrow, in what will be another day of ‘firsts’ for Hartpury RFC. Initially, there’s a new competition in town, as the Red & Blacks join the other 11 Championship clubs in the first ever iteration of the new Championship Cup competition. Additionally, the weekend brings our first ever competitive appearance against the famous London Irish, one of the better-known names in the game and the original home to a host of current and former international stars, who now find themselves alongside Hartpury after a difficult 2017-18 season in the Premiership. The two clubs have yet to meet in the opening nine rounds of Championship rugby, so Saturday will be the first encounter between two sides coming from opposite ends of the rugby spectrum, as tradition meets a 21st century institution at the Gillman’s Ground. The Irish pedigree is obvious, and their 100% start to the new season has been surprising only in the fact that it came to an end, at Jersey, last weekend. Prior to that, the Exiles were eight from eight and stretching into the kind of lead that most had expected in advance of the Championship kick-off. Hartpury, meanwhile, find themselves in a barren run which has produced no win since Week 4, before a spirited effort Bedford had them tantalisingly close to the pay-off. Irish will be seeking to bounce back from a narrow defeat at the fast-improving Jersey Reds and will certainly ask questions of the home team, whatever squad they choose to field, according to Hartpury DoR, John Barnes. “Irish have a big squad, so I’m sure they will look to rotate,” he said. 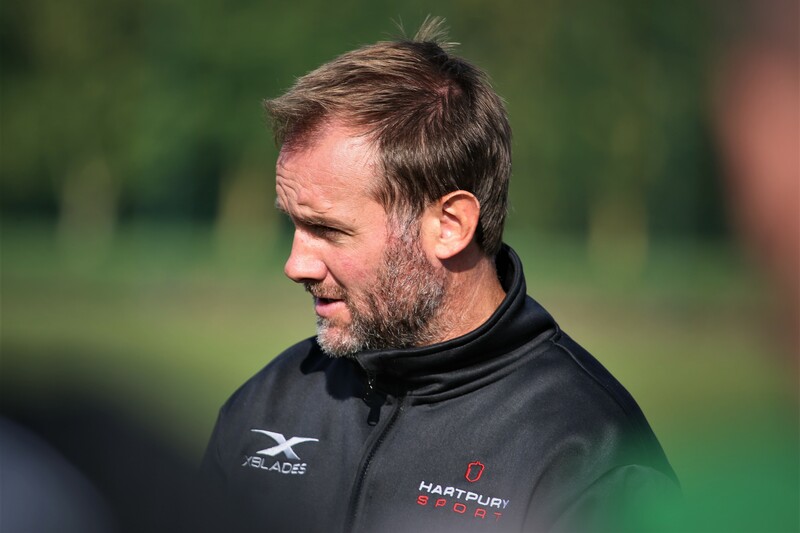 There was enough in the narrow, late, defeat at Bedford to suggest that Hartpury are still looking to show their best in the current season, according to Barnes. “It was a much better performance against Bedford that nearly saw us take the win”, he said. That game ended 26-24 to the Blues, but only a late try and a missed penalty, deep into added time, prevented the Red & Blacks emerging with their first ‘maximum’ of the season and their first away win. “A week off has allowed some rest for players who have been involved a lot and we now turn to the Championship Cup,” said Barnes. The Championship Cup gives that opportunity,” he said. No fixture last week means that Hartpury have been given the opportunity for one or two players to rest injuries, with the squad being announced later on Friday. Saturday’s game at the Gillman’s Ground kicks off at 1pm and will followed by live coverage of England vs All Blacks on the big screen in the Sports Academy.